Alfonso, Aldo, Eugedio (whom were priests in the general area their whole lives – Aldo was a priest in Belforte and Alfonso was a priest in Pontolo. and my grandfather, Mario, who was the only sibling who married. The house that is still in our family – 6 via padre bracci in Borgo. They have all since died. The most recent being Pierrina about 4 years ago in the hospital in Borgo. I went to visit my great uncles and aunts in Borgo in 1978 for 4 months. I was ten at the time. I have many pictures from then. I remember the market on the weekends when the locals would sell their items on that wide pramanade. I remember the movie theater. 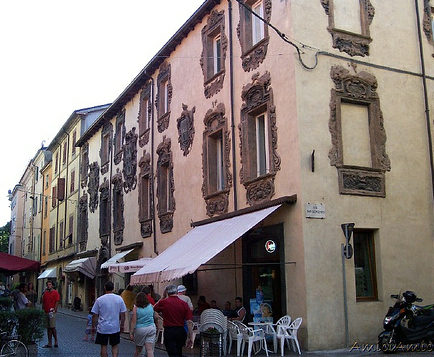 The icecream store in the middle of town. My grandmother would take me swimming in the river Tarro near the bridge. My grandfather married in the Bronx, NY to Ida Ferrara – their children are Joseppe, Antonio, Virginia, and Eugedio all of whom live now in Westchester county. Virginia Costella (maiden) is my motherBorgo val di Taro is considered the capital of the Alta Val Taro and it can be very well defined a happy island for its gastronomy and the environment. 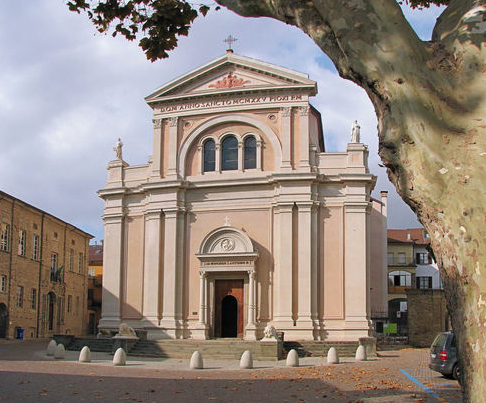 The village boasts a great history, starting from its originary name Turris and still today it has signs of it in the urbanistic and architecture of the territory, as for example the romanic parish church of San Cristoforo in San Pietro. During the last World War Borgo val di Taro was the scene of many episodes of Resistance war and in 1985 the gonfalon of the Borgo val di Taro Municipality was decorated with a Golden medal for Military Value. The village is now known for its great life quality and its mushrooms, above all the Porcino mushroom, marked IGP, is undoubtedly the star. Every year this delicious product of the woods attracts tourists from everywhere in Borgotaro to taste all the yummy typical recipes, from the tagliatelle to the deep fried or in oil mushrooms. The autumn then, is the most crowded time of the year, full of events in general, starting from the Mushroom of Borgotaro fair, taking place every year on the third and fourth weekend of September.